COMMENDATIONS TO BV TECH ENGINEERS FROM THE CHIEFS OF DEFENCE STAFF | BV Tech S.p.A. The appreciation for BV TECH by the various companies for which the Group’s consultants work, is high and tangible. The praise of the Chiefs of Defence Staff stands out among the many demonstrations of esteem. 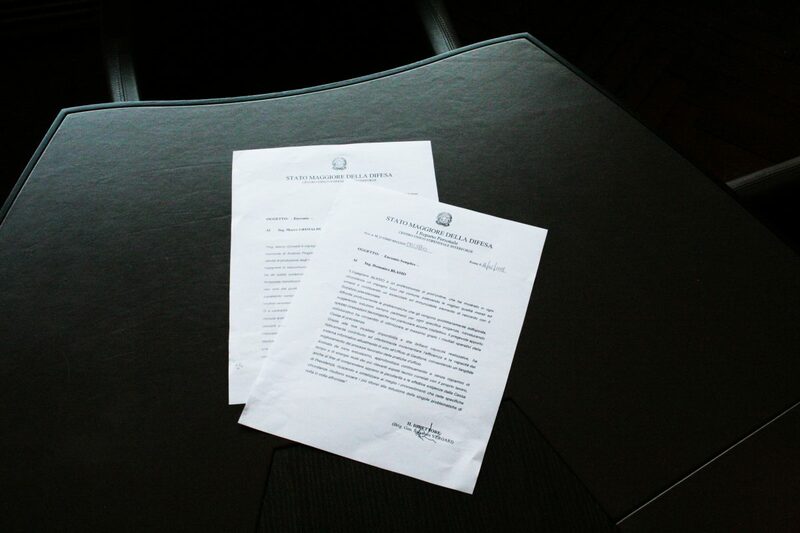 Brig-Gen. Salvatore Vergari has personally signed two very significant commendations on the activity of two Group engineers working in the Inter-agency Wage Center. Marco Grimaldi and Domenico Blasio are recipients of an important recognition, which emphasizes not only their professional skills but also their moral and personal qualities. Grimaldi is a telecommunications engineer. Vergari highlights Grimaldi’s sense of responsibility and reliability, as well as the efficiency in the delicate role played for the database, during the start of the digitization process of the complex Armed Forces salary system. About Engineer Blasio, Vergari emphasizes the ability to successfully deal with everyday problems by suggesting appropriate solutions to specific needs and introducing technological innovations with particular care and insight. BV TECH, as announced by Saverio Friuli, head of the Strategic Business Area Space (Defense and Security of the State), is proud of the appreciation addressed to its two engineers. Such a mark of admiration positively reflects on the whole Group, strengthening its cohesion and improving its image.